The PCC SE Group (based in Duisburg, Germany) is one of the largest chemical manufacturers in Europe. Currently, it brings together over 80 companies operating in 18 countries around the world – mainly in the areas of chemistry, energy and logistics. PCC Consumer Products Kosmet is part of the chemical division of the PCC SE group of companies producing FMCG goods for the final customer and specific products for professionals. Presence in the group provides PCC CP Kosmet with a number of internal synergies, such as raw materials integration, access to the latest technologies and research and development facilities. As a result, the company has consistently been considered as a valued and increasingly important business partner in Europe, setting market standards based on industry trends and customer needs. The company operates under the highest international quality standards, such as GMP, IFS, BRC, AISE, ISO and EcoVadis. PCC Consumer Products Kosmet (based in Brzeg Dolny, Poland) has been operating on the market for over 20 years. The company has two production plants – in Poland (Brzeg Dolny) and in Belarus (Grodno) and a sales office in Russia (Moscow). Operations in Grodno and Moscow enable the company to benefit from the Customs Union of Belarus, Kazakhstan and Russia and allow it to achieve significant competitive advantages. Implemented, consistent strategy of continuous development allows PCC CP Kosmet to conquer new markets both in European countries, as well as in the Middle East and Africa. 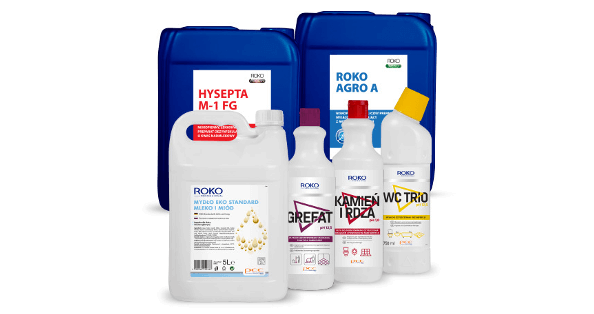 PCC Consumer Products Kosmet is a producer of innovative, universal products for washing and cleaning. The company creates products in various market segments, from consumer brands, economical brands to premium brands. One of the key ones is Flo, which combines high efficiency with care for nature. 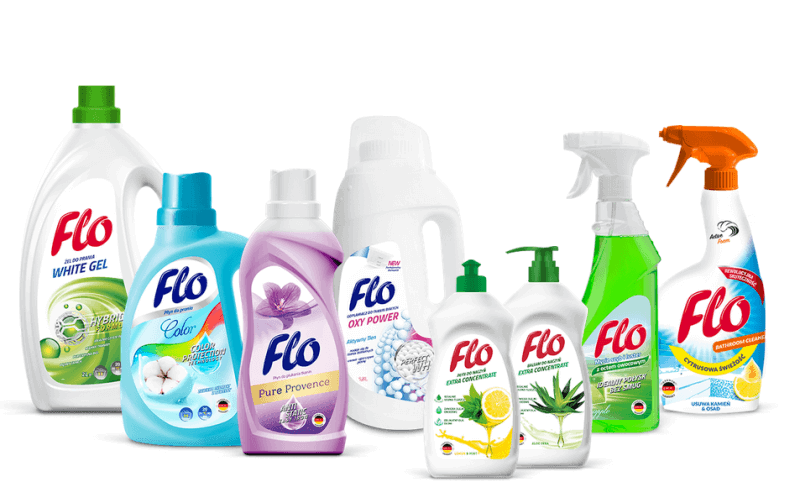 Flo products are made using natural oils and fruit and flower extracts. The production uses readily biodegradable, effective surfactants. The products are gentle on the skin of hands and contain preservatives with low allergenic potential. Products do not contain phosphates or parabens. PCC Consumer Products Kosmet is one of the main Polish manufacturers in the private label market in the household and personal care product sectors. The company focuses on the manufacture of products under private labels for leading discounters and retail chains. For several years the company has been active in Contract Manufacturing as well. This is a form of outsourcing, which consists of well-known brands contracting out production to an external company. PCC Consumer Products Kosmet is also a manufacturer of professional cleaning agents for use in various types of public institutions, including hospitals and schools. It is also a valued producer of professional products for use in agriculture and the food industry.